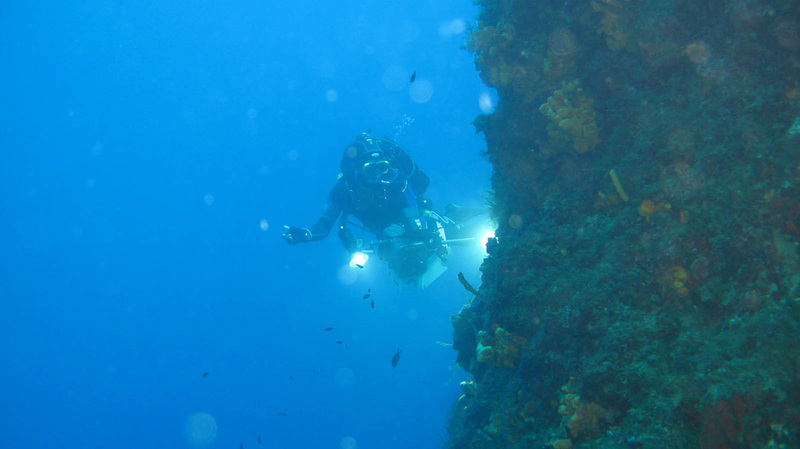 Details on how to organise diving expeditions in Ischia. We provide packages including equipment hire and lessons with qualified instructors who speak English. Ischia Review work in partnership with several diving agencies on the island to offer diving packages to visitors. We have a number of packages available to all levels from beginners to advanced. The island of Ischia is in an area known as "Il Regno di Nettuno", a zone protected to preserve marine life and famous for the cleanliness of its water. Our diving centre is based in Forio, close to the port and the harbour. Our qualified instructor speaks English and we have a wide range of equipment available. For complete beginners we can offer an introductory lessons including cylinders, wet-suit and mask, or to those people that already have their own equipment. The beginners lessons last 20 minutes and include a dive to a depth of 5 metres with a fully-qualified instructor who speaks English. An open water course consists of 9 lessons, 4 deep water dives, 4 shallow water dives and one theory lesson. The dives last around 2 hours each while the theory lesson is around an hour to an hour and a half. To arrange a dive with us or to find out more about the prices and packages, please contact us by e-mail at info@ischiareview.com and we'll be happy to provide you with all the information you need. You can also call us on (0039) 328 938 9080 or use the "need help" box to chat to us live via messenger.